I’ll See Your JZC and Raise You an RvV! By the time of the 2011 Witte Kruis Classic I had been living in the Netherlands for nine months. I had done quite a bit of cycling in those months but had yet to meet anyone to ride with. Then suddenly it all started happening. I linked up with Eugene and we rode the Joop Zoetemelk Classic together. A few days later I was introduced to the Not Possibles. A group of expatriates who meet on Saturday mornings for “no drop” rides. I was on the bike paths with them that weekend. Eugene couldn’t join us on the Not Possibles ride. But he had bigger fish to fry. Around the time we registered for the Joop Zoetemelk Classic he suggested that we try and get into the Ronde van Vlaanderen (Tour of Flanders) sportif. 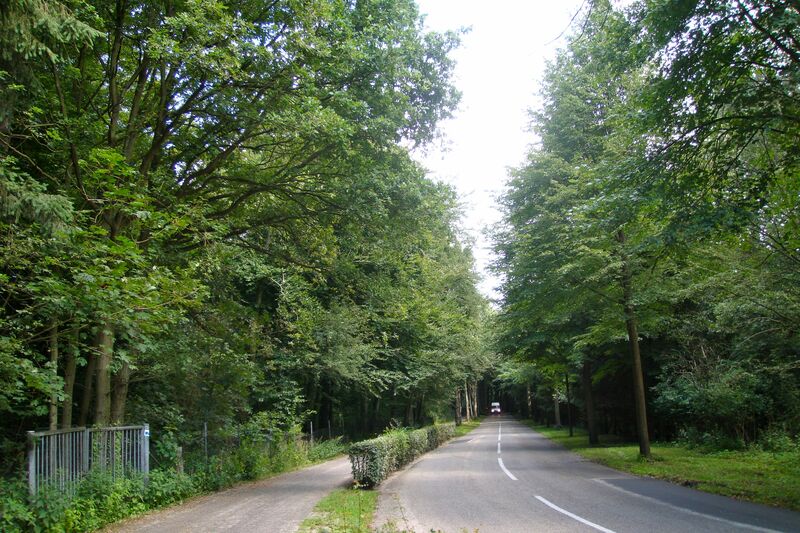 The Ronde is one of the monuments, a classic one-day road race on the European spring professional calendar. The professionals would be racing from Bruges to Ninove. Amateurs could ride the full 250 km course the day before the race. Eugene and I set ourselves a more modest goal. The profile for the 75 km route showed almost 600 meters of climbing. We thought that was enough, especially as we had climbed a whopping 13 meters the weekend before during the Joop Zoetemelk Classic. We had left it a bit late to register. More than 15,000 cyclists participate in the Ronde every year. I was frankly surprised that we got places with only two weeks to go before the event. Finding accommodation was another matter. I enquired about rooms at a number of hotels and B&Bs in the Ninove area. I was told that I might just be in time to reserve a room for the 2012 event. But a room in two weekends time? “Ha ha ha ha”! “Ha ha ha”! I got literally laughed at. So I felt very fortunate to score two rooms at the Schauvliege B&B outside Ghent. We would have a 40 km drive to the start, but that was infinitely preferable to leaving at 4am to make the trip all the way from Den Haag. My biker chick and I left Den Haag on Friday afternoon. We picked up Eugene and his bike in Rotterdam on the way to Belgium. We got to Sint-Denijs-Westrem in time to have a gentle ride around the B&B before dinner. Here we are with Madame Schauvliege and our fellow house guests. These two guys had just flown in from Ireland to ride the Ronde. I suppose if I had flown in from Dublin I would have opted for the 130 km route also. Zulfa drove us to the start at the crack of dawn. Well, not quite all the way to the start. A few thousand other cyclists were ahead of us on the road. So we had a 5 km warmup ride. By the time we got to Ninove I wished I had left my jacket and long-fingered gloves in the car. Eugene was wearing his Swift club jersey and arm warmers. A much better choice of cycling kit. We set off into the crisp morning air. After a few kilometers the terrain turned into rolling countryside. All very picturesque, but we were somewhat disturbed to discover that what looked and felt like some of the famed Flandrian hellingen (hills) were nothing of the sort. These were the equivalent of bunny slopes at ski resorts. The early kilometers were the calm before the storm. The combined storm of cobblestones and greater than 10% inclines. The cobbles were literally tooth-rattling. So much so that all manner of items were shaken free of jersey pockets and off bicycles as their owners bounced along, hands in a death-grip on handlebars. The climbs were wall-like in places. This is the iconic Kapelmuur, just over a kilometer long with a maximum gradient of 19.8%. Eugene got to the top of this climb before I did. A scenario that was repeated all day long. Here he is taking photographs of the suffering riders below him. You can tell from our pained expressions in this video that we had our share of suffering too. Eugene and I spent the evening talking about doing the 130 km route the next time. I reckon this gentleman had already made his room reservation for 2012. Posted in Cycling in Belgium and tagged Bruges, Ghent, Kapelmuur, Ninove, Ronde van Vlaanderen. Bookmark the permalink. I had a week to recover from the culture shock of the Witte Kruis Classic before I embarked on my second organised ride in the Netherlands. I knew the Joop Zoetemelk Classic would be a better experience in at least one respect. I would have company. A mutual friend had connected me to Eugene N. A fellow Malaysian living in Rotterdam. We signed up for the 150 km event. Joop Zoetemelk held the record for the most Tour de France finishes until that achievement was bettered by George Hincapie this year. Perhaps more impressively Joop won ‘La Grande Boucle‘ in 1980, came second six times and finished fourth three times. He was also World Champion in 1985. Joop started his cycling career with the Swift club in Leiden. A look inside the clubhouse reveals a long and illustrious history. The 2011 event was the fifth time the Swift club had organised a ride in Joop Zoetemelk’s honor. The 150 km route was an anti-clockwise loop from the Swift clubhouse around the Groene Hart (Green Heart) between Leiden and Utrecht. I may have been ready this time for the minimalist directions and infrequent rest stops, but I wasn’t prepared for the weather at the start. It was a damp 1° C / 33° F. Eugene and I were bundled up like a pair of Michelin men. The first 30 km or so was just plain miserable. My feet and hands were freezing despite the wool socks and double gloves. My glasses fogged up so badly in the mist that I had to take them off. The sun eventually broke through the mist so by the time we got to the first rest stop it was brighter, though not necessarily any warmer. We followed local practice by going indoors for coffee and apple pie. We didn’t want to offend anyone. That was at kilometer 56. We had a very pleasant surprise at kilometer 91. An unexpected rest stop! With sports drinks and krentenbollen (raisin buns). Outdoors this time, but it was a bit warmer by then. Not that you can tell from what Eugene was wearing. The route was quite well sign-posted with large arrows at junctions. It also helped that Eugene and I managed to stay with other riders for most of the time. Trust us to miss a turn anyway. That was a 5 km diversion that we did not need. The length of the ride was beginning to tell on both of us by the time we got to the final rest stop at Leimuiden. We had what was looking like a long 30 km to go. So another indoor stop was much appreciated. The final leg of the ride took us through Rijpwetering, where Joop Zoetemelk was born. This statue commemorates his World Championship win. 9 km later we were a pair of happy campers. We had helped each other make it through a very cold start and a middle section where cramps threatened to cut short our ride. This was our longest ride in the Netherlands to date so we were both pleased to have finished. I don’t know about Eugene but I still wear the event jersey on occasion. Fortunately it is better suited to more tropical climes than what we found in Leiden that morning. Posted in Cycling in the Netherlands and tagged Cold, Groene Hart, Joop Zoetemelk Classic, Krentenbollen, Leiden, Swift Club. Bookmark the permalink. 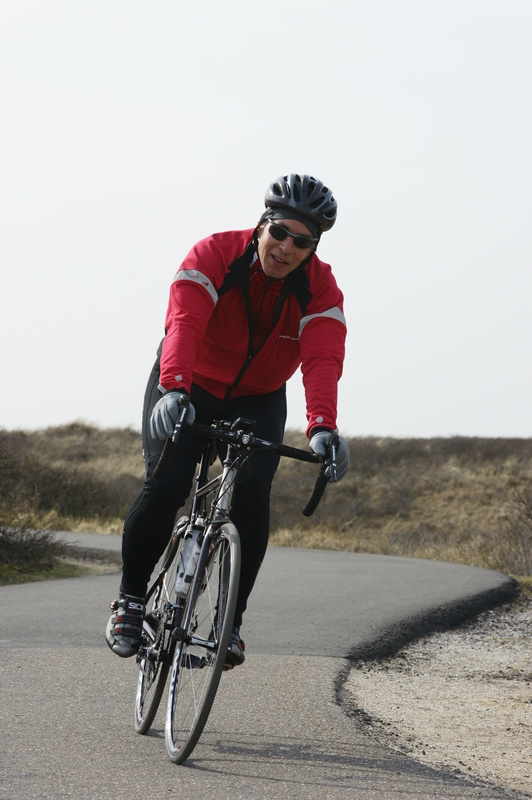 I did my first organised ride in the Netherlands in early March 2011. 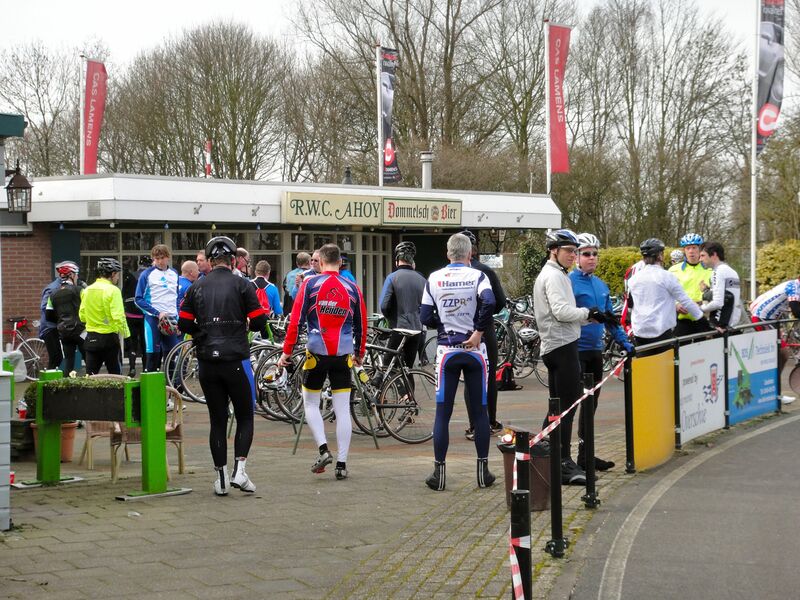 The Witte Kruis (White Cross) Classic was a 100 km clockwise loop through South Holland. Much of the route covered new ground for me. I had ridden to Kijkduin and Meijendel but my wheels had yet to traverse points further east like Benthuizen and south like Oud Verlaat and Schipluiden. I had yet to find any cycling buddies in Den Haag so I rolled up to the start by myself. I had done a number of organised rides in Texas so I had a preconceived idea of what this ride would be like. Things were different right from the get-go. We were all given timing chips to mount on our front forks. For many participants this wasn’t just a jaunt through the countryside. The Dutch idea of a supported ride turned out to be a bit different from what I had experienced in Texas. I had come to expect lots of people giving directions along the route, or at the very least, large signs. This is what we had to guide us during the Witte Kruis Classic. All was well until I had a puncture after about 60 km. Everyone else in the group I had tagged onto kept riding. Once back in the saddle I could see one rider ahead of me in the distance. I put my head down and started chasing. 5 km later I caught up to a group of five riders. We were at a T-junction in Terbregge. With nary a tiny painted arrow on the road in sight. We knew that we were about 6 km from the rest stop. Between us we managed to figure out which way to head and after a couple of kilometers we picked up the white arrows pointing us toward the rest stop at the RWC Ahoy. Which brings me to my next supported ride, Dutch style, surprise. I don’t recall having ridden more than about 35 km / 20 mi before coming upon a rest stop on my Texan rides. The one and only rest stop during the Witte Kruis Classic was at the 55 km / 34 mi point. The location of the rest stop was an eye opener in itself. We were on the premises of the Rotterdam Wielrennen Club Ahoy. Not only does the RWC Ahoy have a nice clubhouse . . .
but it also has its own racetrack. There was a race in progress, complete with electronic timing board and race announcer. This was my first glimpse of the serious side of Dutch amateur cycling. After a much-needed drink, some food and a comfort break I set out off again to the roar of aircraft landing and taking off from the adjacent Rotterdam The Hague Airport. At the 85 km mark there was a three kilometer timed sprint. I had forgotten about that little feature of the ride. Not that I was in any state to ride any faster at that point. All I wanted to do by then was to just finish. This photograph was taken in the dunes south of Kijkduin. Before I realised that the ride was 10 km longer than advertised. I did not enjoy the last 10 km to the finish. Especially knowing that I had a further 8 km to get home, having cycled to the start. I felt a lot better after a shower and lunch. I did like the ride, despite being on my own and those extra kilometers. I now knew what to expect on my next organised ride, which was the Joop Zoetemelk Classic the following weekend. In addition to windmills that is! 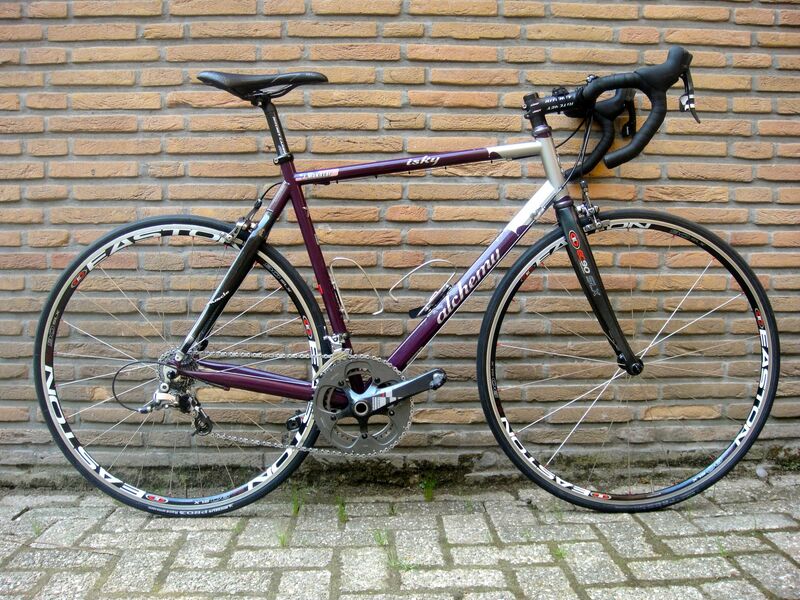 Posted in Cycling in Texas, Cycling in the Netherlands and tagged RWC Ahoy, Witte Kruis Classic. Bookmark the permalink. I have finally closed my Creak Source Investigation. The case started on Sunday 7th October 2012. The date of my first ride in Malaysia. The scene was Jalan Gombak, heading up toward Genting Sempah. My steel bicycle started creaking at the bottom of the climb and continued to do so all the way to the top. I posted my initial case report on Saturday 13th October. My assumption that I had cured the creak was premature. On the very next ride the creak returned, seemingly louder than before. The rasping still seemed to be coming from the chain rings or bottom bracket. While working on the bike at Van’s, YC and I noticed that two of the chain ring bolts were slightly stripped. We didn’t have any spares so we reinstalled the stripped bolts. Could those damaged bolts be the source of the noise? Or could there be something wrong with the bottom bracket? I went to another bike shop to look for a second opinion and to buy some replacement chain ring bolts. The shop mechanic also thought it was a problem with the chain ring bolts. That shop didn’t have any SRAM bolts in stock either. So I still had a creaking bike. Alzheimer’s must be setting in. It was another week or so before I remembered that I had a spare crank set. With sound chain ring bolts. I had replaced the standard crankset on my titanium bike with a compact crank. It was a relatively simple task to swap cranksets. I also removed the bottom bracket cups, cleaned out the threads on the cups and the frame, applied grease and reinstalled everything. If I were Horatio Caine, or Mac Taylor, or D.B. Russell, I would have access to some sort of scanning device that would locate the source of the creak. Sadly I do not. To paraphrase The Who, “Where are you? I really want to know”. Having eliminated the bottom bracket and chain rings as the source of the noise it was time to widen the investigation. The next option was to look at the rear of the bike. I removed the cassette from the rear wheel. The cogs and freewheel hub splines got a good cleaning. Grease went on the splines before the cassette went back on the hub body. I checked that the bolts connecting the seat stays and chain stays were properly torqued. Then the rear wheel went back on. It was time to call a friend and expert. Who better to put on the case than James Flatman? He built the bike for me. His suggestion was to go over the entire bike, no matter how far away from the apparent source of the creak a particular component was. So I started with removing the stem and bar. I had upgraded those three months ago so they didn’t need cleaning. I made sure the bolts were properly torqued. Next on the list was the seat post, seat post collar and saddle. The seat post came out of the seat tube and the saddle came off the seat post. I saw why it is recommended that the seat post gets an annual cleaning. Despite regular bike washes there was a surprising amount of grit and dirt around the seat collar bolt and the saddle rail mounting. The seat post needed a wipe down too. All the moving parts on my bike were now freshly greased or oiled. All the bolts were tightened to specification. I was running out of leads. I checked the pedals. 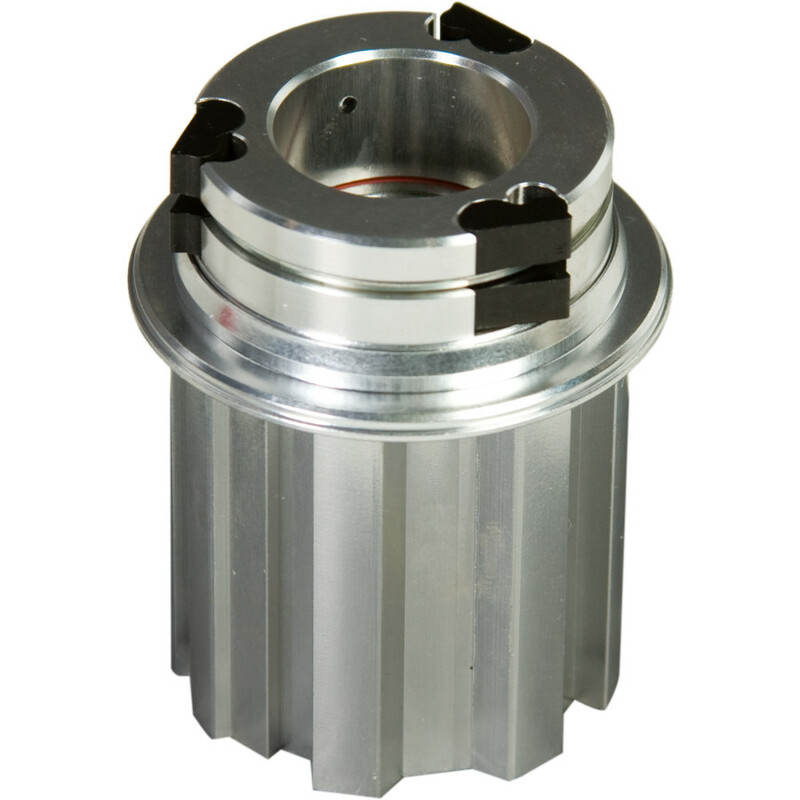 The bearings turned smoothly and silently. Perhaps the bike had been banged around during shipping. I inspected the frame. Fortunately there weren’t any cracks. The only thing left to check was the rear hub. 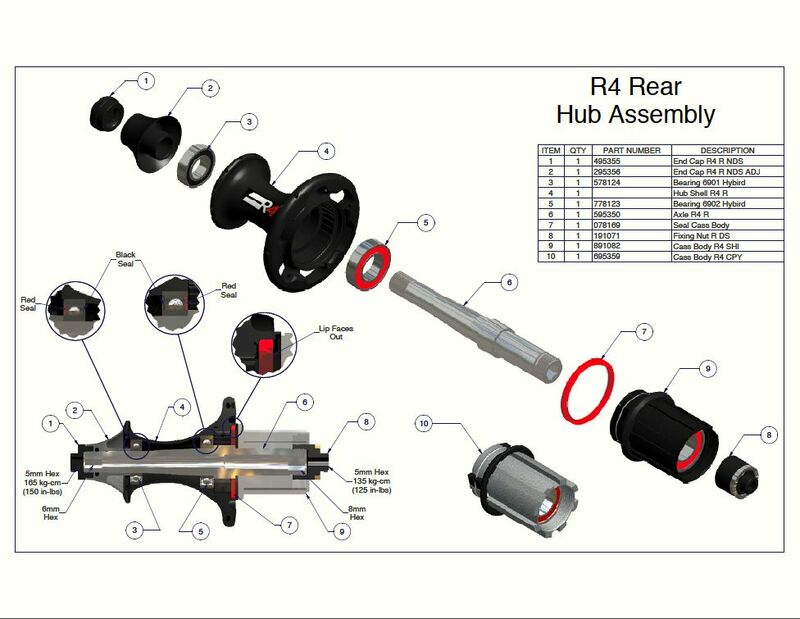 I Googled the instructions for how to disassemble an Easton R4 rear hub. The Easton Cycling site has videos to go with this drawing. Off came the rear wheel, for the umpteenth time in this investigation. I removed the cassette from the hub body. Then removed the hub body from the hub shell. I had cracked the case at last. The pawls on the hub body were completely dry, as were the splines in the hub shell. So every time the pawls engaged with the splines, i.e. every time I put pressure on the pedals, there was a metal-on-metal creak. The spring-loaded pawls are the black parts in the photo below. I removed and cleaned the pawls, the retaining spring and the splines in the hub shell. Everything got a good coat of grease before reassembly. I took my bike out for a 70 km ride. Posted in Cycling in Malaysia and tagged Creak, Easton, Rear Hub. Bookmark the permalink. I bought my first bike in Houston. My early solo rides were on the few bike trails along the Columbia Tap to Trail and Brays Bayou. Then I met the Six Thirty group. The majority of our group riding was done on city streets. In most cases there were no bike lanes. Where there were bike lanes you tended to stay out of them. I remember Washington Avenue having a bike lane in name only. What had been designated as a bike lane was badly rutted filled and with debris. So we took our chances toward the center of the lane. We also rode on the farm-to-market roads outside Houston. There was less traffic on them, which was a plus. They tended to be chip sealed, which was a minus. Chip seal has a layer of aggregate embedded in the bitumen or asphalt. On that surface we were were modern-day Rough Riders. The Dutch cyclist has the good fortune to have 29,000 km of bike paths. 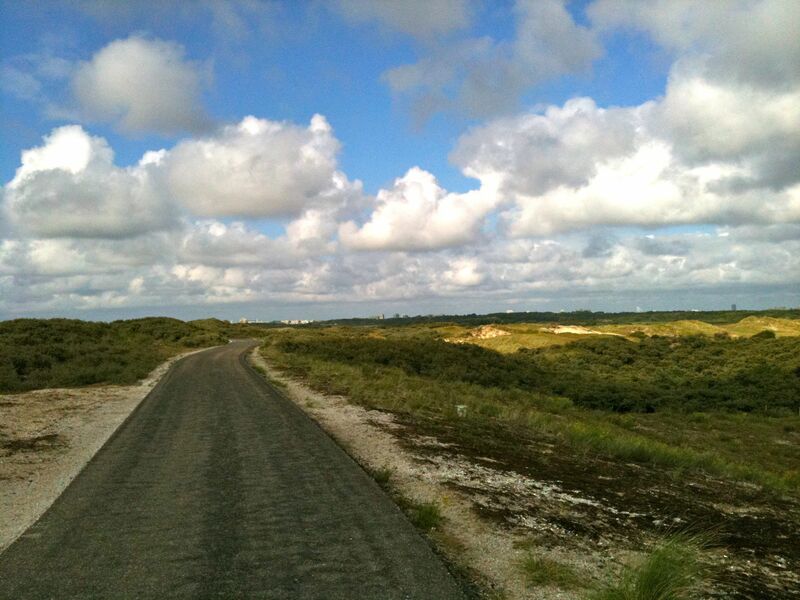 The Dutch cyclist is truly blessed to have 29,000 km of bike paths that are almost without exception well-maintained. The majority of the paths are asphalt. Those are generally the smoothest. Some paths are made of concrete slabs or pavers. Those sometimes have cracks and bumps in them. Then come the brick bike paths, which run the range from smooth to bumpy. Bike paths in towns and cities are usually red. This differentiates the bike paths from the road where bicycles and motor traffic share the same road-space. This one is asphalt. In the center of towns and villages the surface is occasionally brick. 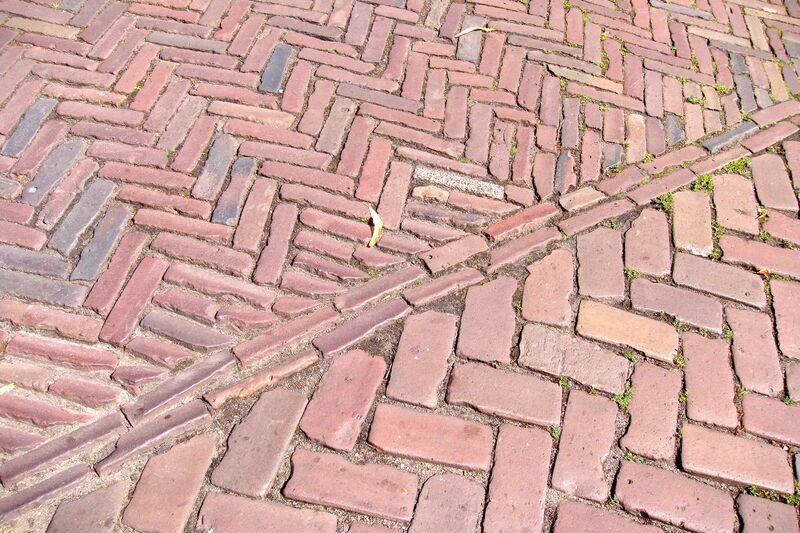 Ideally the bricks form a smooth surface. Sometimes though you are in for a rough ride. Concrete pavers often appear around the edges of towns. 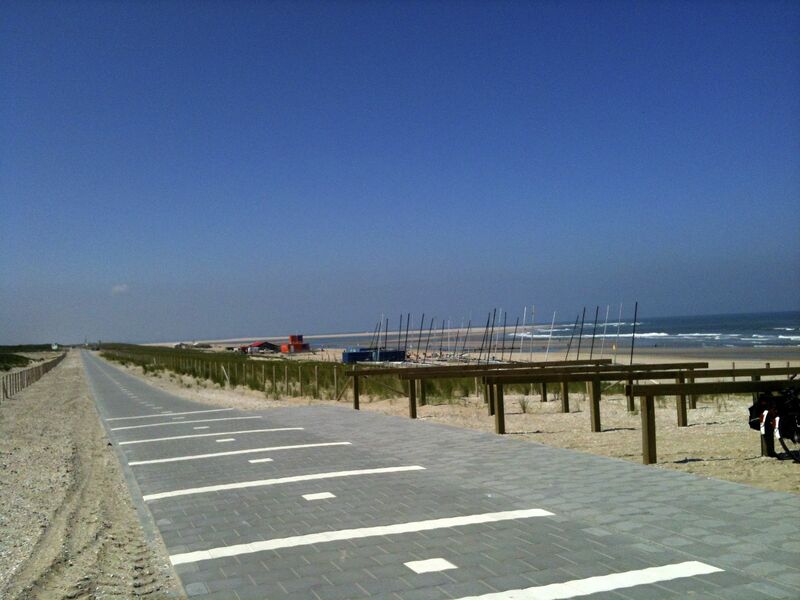 This a section of the new bike path on the beach south of Kijkduin. The dashed center line indicates that this is a two-way path. The surface is good enough for the Not Possibles to hit 45 kph / 28 mph or more when the wind is right. Outside towns the paths are almost always asphalt. Usually smooth and fast, although this section of the LF 1 near Monster is due for resurfacing. This smooth asphalt path is in Midden Delfland. Where the paths follow roads the two are usually separated. Like this one in Noordwijk. Now that I am in Kuala Lumpur I am back to riding on city streets and sharing the roads with other traffic. Riding in Kuala Lumpur is a lot like riding in Houston. Except there is no chip seal here. Posted in Cycling in Malaysia, Cycling in Texas, Cycling in the Netherlands and tagged Bike Path, Chip Seal, Houston, Kuala Lumpur. Bookmark the permalink. 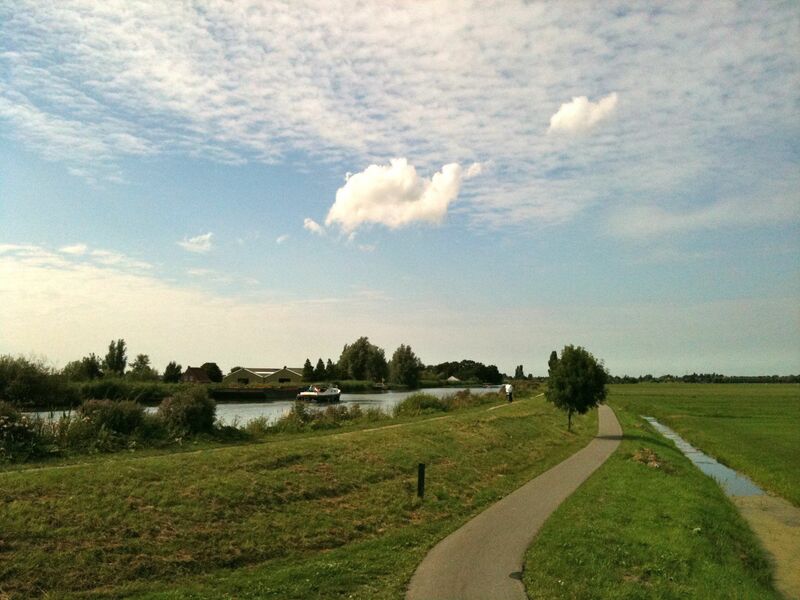 The Netherlands is criss-crossed with a network of dedicated bike paths. Every part of the country is accessible by bicycle. If your bucket list includes riding every path, you would have to cycle about 29,000 km. There isn’t anywhere that you can’t cycle to. It was clear from my “Bicycling 101” class that all I had to do was wheel my bike outside the front door, choose a direction and start pedalling. And be sure to avoid the 53 ways to pick up a road rules fine. 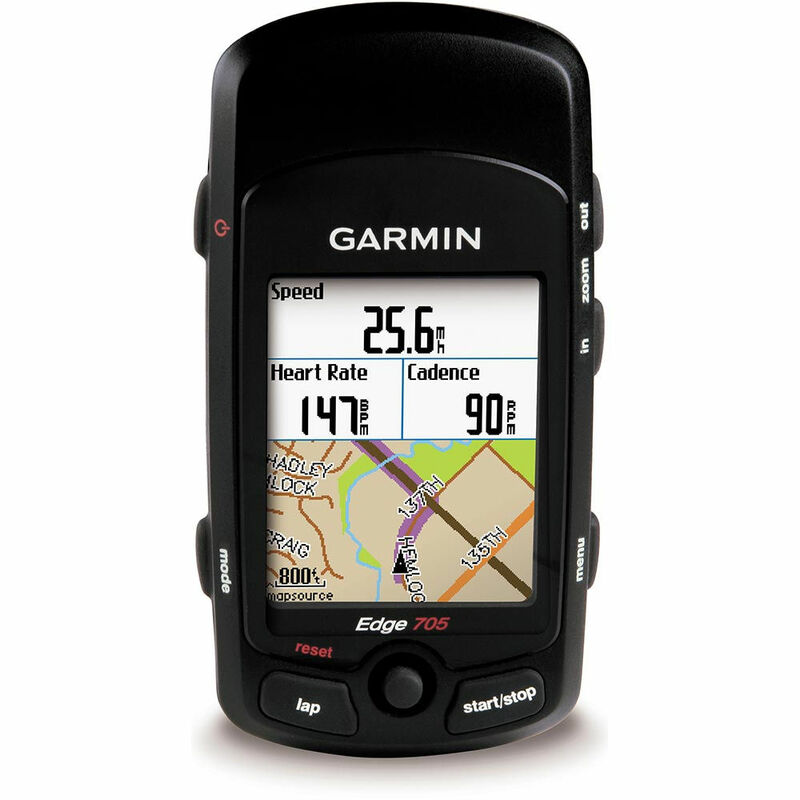 I used a Garmin Edge 705 GPS cycle computer in Houston. It came with a detailed road map and points of interest. So I could use the unit to navigate with exact, turn-by-turn directions to any address or intersection. I used my Edge more for tracking where I had been rather than for planning routes. Nevertheless I installed a map of the Netherlands. If nothing else I would be able to see on the screen exactly where I was hopelessly lost. The best thing about the unit is that when maps and sign posts fail, it will get me back to where I began my ride. I quickly discovered that I would have little use for the navigation functions on my Edge 705 in the Netherlands. The 29,000 km of bike paths are sign posted. And since the Dutch are nothing if not meticulous, they didn’t stop at just one sign post system. They have four that I know of. The first type of sign post is much like what you would see on normal roads. Signs point in the direction of cities and towns, listing the distance to each. A more distant major destination is listed on the bottom of each ‘finger’, and the closer, minor destination is shown on the top. Once a destination is listed, every subsequent sign along the route will list that destination until you reach it. The sign posts for cyclists feature red or green lettering on a white background. The options shown in green are less-direct alternatives that offer scenic routes through the Dutch countryside. The second type of sign post for cyclists sits low to the ground and is mushroom-shaped. These signs are located in more rural areas where the bike paths intersect away from roads. Each of the four sides has direction and distance information for destinations nearby. The sign below with the red lettering on a white background is a newer one. The older style has the same shape but features black lettering on a white background. The third system of providing directions for cyclists is the Bicycle Node Network (Fietsknooppuntennetwerk). Each junction on the cycling path network has been given a unique one or two-digit number. You need a map showing all the ‘knooppunten’ or nodes. These maps also list the distance between nodes so you can work out how far away your destination is. Planning a route from the starting node to the ending node is a simple matter of making a list of all the intermediate nodes that you want to cycle through. 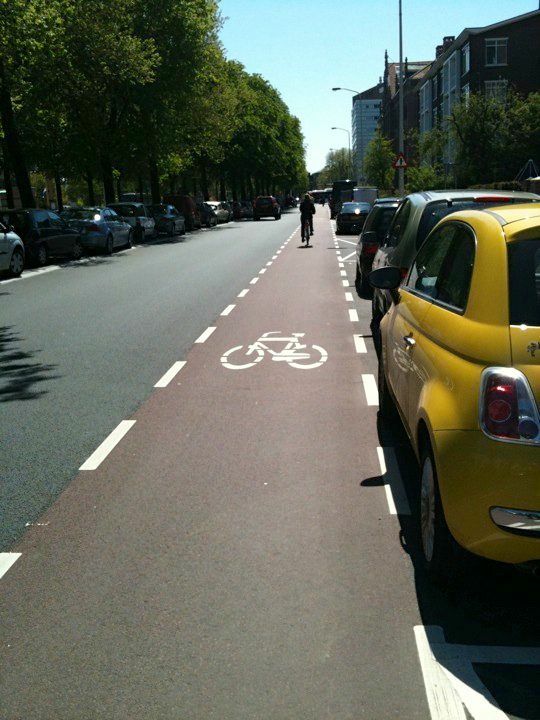 There is a list of online route planners at fietsen.123.nl to help with this. Each junction or node is marked with a sign showing the node number and a map of the immediate area. Signs like this show you which way to go to the next closest nodes. 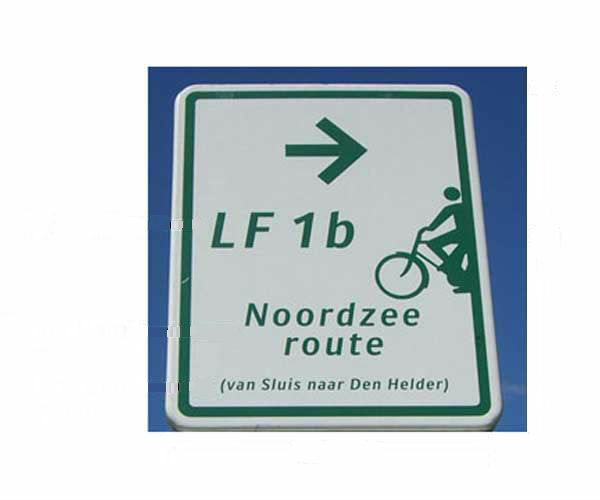 The fourth system is a network of long-distance, or LF (Lange afstands Fietsnetwerk) routes. There are currently 30 LF routes covering some 4,500 km in total. These routes include the LF 1 North Sea Route, which starts in the south near Sluis at the Belgian border, and continues up the coast to Den Helder in the north. The Not Possibles often cover sections of this route between Hoek van Holland and Zandvoort during their Saturday morning rides. 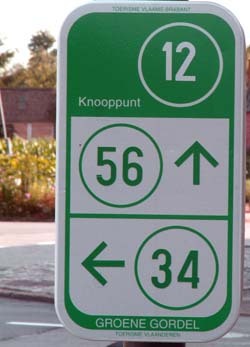 The LF routes are marked in both directions with rectangular white signs with green lettering. In this case the sign pointing in the opposite direction reads “LF 1a”. With few exceptions the various wayfinding systems on the bike paths served me well. I would pick a destination and let the signs show me the way. Confident that if I did get lost, which happened on a few occasions, I could always access the menu on my Edge 705 and select “Back to Start”. Posted in Cycling in Texas, Cycling in the Netherlands and tagged Directions, Edge 705, Knoppunten, LF routes, Sign Post, The Not Possibles. Bookmark the permalink.